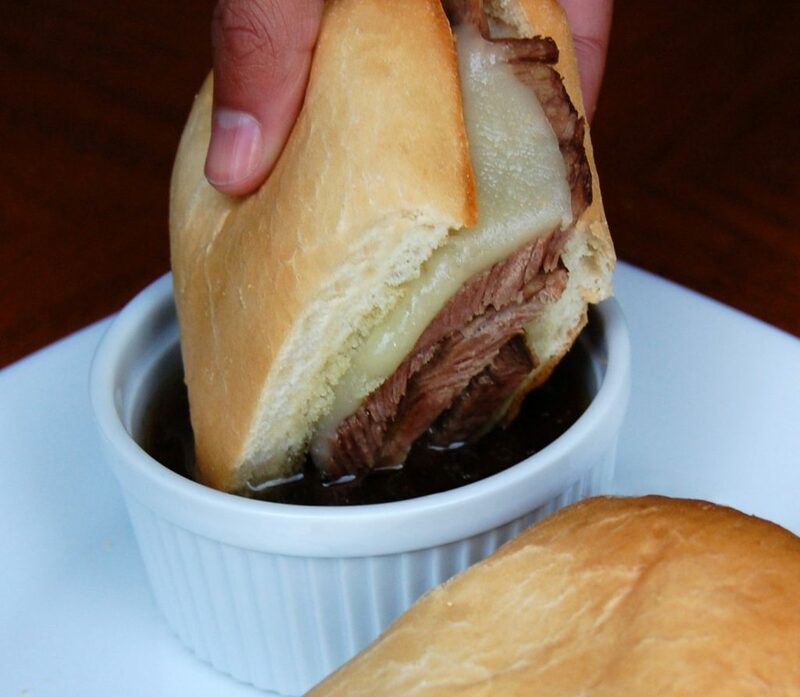 Tender roast beef and melted provolone cheese, served on a toasted hoagie roll with a side of au jus for dipping! Season the roast on all sides with salt and pepper. Place the roast in the slow cooker. Pour the French onion soup and consommé over the top. Remove the roast to a cutting board and slice or shred the meat. Return the beef to the broth while you prepare the rolls. Slice the rolls in half lengthwise. Lightly spread with butter and toast in the oven until golden brown, about 2-3 minutes on broil. Remove the rolls from the oven. Pile sliced or shredded beef on the bottom half of the rolls, and cover with two slices of provolone cheese. Return the sandwiches (bottoms only) to the oven to melt the cheese, about 1-2 minutes. Remove from the oven and cover with the top buns. Slice sandwiches in half diagonally. 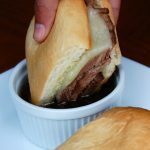 Serve immediately with a side of beef au jus for dipping. Cook's Note: To make "Loaded French Dips" add sour cream and sliced green onions to the top bun before covering the bottom bun and slicing.